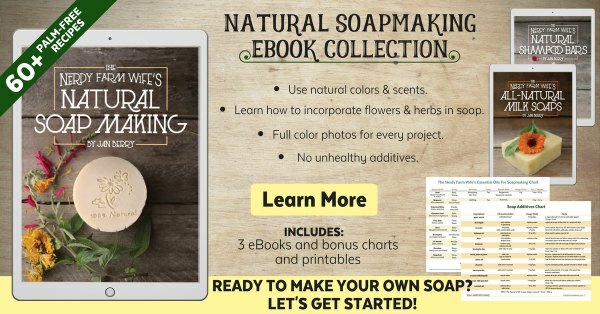 Confused about which essential oils can be used when making soap and how much of them you should use? If so, this chart should help! 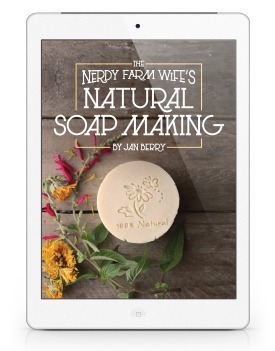 It can be downloaded and printed out, so you’ll always have it for easy reference when making soap. CLICK HERE or on the image above to grab your free chart in pdf format. 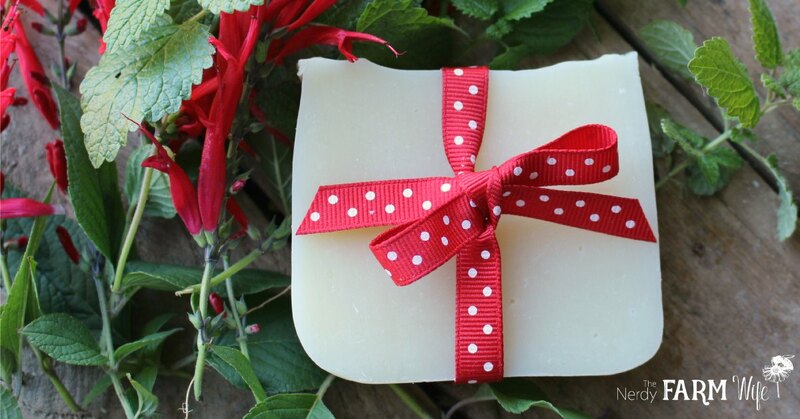 Love to make soap with natural ingredients? Me too! Let’s keep in touch. Tagged essential oils. Bookmark the permalink. Thanks for the chart. I am looking forward to using it! I finally made a batch of Goat Milk soap using your recipe and cannot wait for it to cure so I can try it. I also used your idea of dandelion tea with a batch of my favorite bar. I had a couple of questions though, I hope you don’t mind. I have not seen a recipe of yours that uses lard, is this just personal preference? Also, I was wondering about the cooking oils by Lorann. It says it is peppermint oil, but I was wondering if it would work for soap? (I’ve got some leftover from holiday baking and was wondering if it would work)Thanks so much. As far as the cooking oils by Lorann – are they the food grade essential oils? If so, and that’s all they contain – just the pure essential oil, it’s possible they might work in soap. (Haven’t tried them to be sure though!) 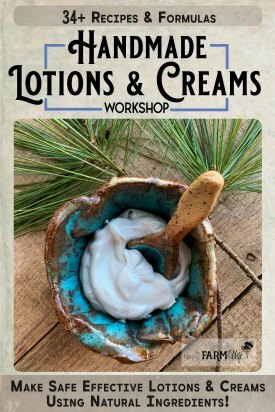 Baking extracts & flavorings (like vanilla or coconut) in general usually have added ingredients that can make your soap act strangely and those scents just don’t stay around in soap. Thanks for the comment on lard. My favorite soap has lard and I love the creaminess, but I haven’t been doing this for long, so I didn’t know if lard bars might go bad early or there was something about lard I didn’t know. Hi Beatriz, That’s a great question! Yes, dividing by the amount of oils used is exactly what I do when I want to add more than one oil. then 17 grams of litsea divided by 2, to get roughly 8 or 9 grams of litsea. in a recipe with 1 pound of oils. You can also tweak the ratios around a bit. for every 1 pound of oils in the recipe. Jan, this chart is most helpful. Thank you for putting it all together and sharing it. This makes MY life easier. Have a blessed day! I’ve been enjoying all your natural non-red palm recipes. We live in a very harsh environment-but dandelions and sunflowers grow well. I’ve used your wonderful articles and recipes to teach a class at our church. My class decided to be adventuresome and add infused oils to their collections. Keep up the wonderful work! We love all the knowledge and wonderful articles. Jan just wanted to let you and your readers know that I used annatto infused olive oil in your carrot and honey soap recipe (from your web site) and it turned out great. Red palm oil is difficult to find where I live and very expensive. I infused annatto seed & olive oil in the sun with 2 tbsp per 8 oz of oil for three days. Though the soap is still curing the soap it is a very nice carroty color. I am very happy with the results! I had a question though, I read on a website for another carrot soap that the beta carotene in carrots can turn very white skin slightly orange like tanning solution. Have you heard that? How about with the annatto or alkanet infusions? I don’t see that there is enough of a concentration in the soaps to do that but I just wondered if you had ever had that experience? By the way you are still my favorite go to for inspiration. Thanks so much! 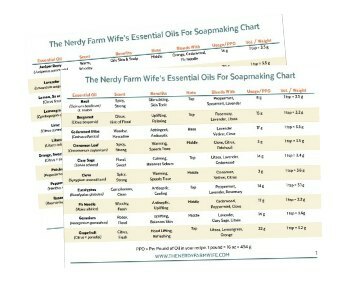 I love your essential oil chart! 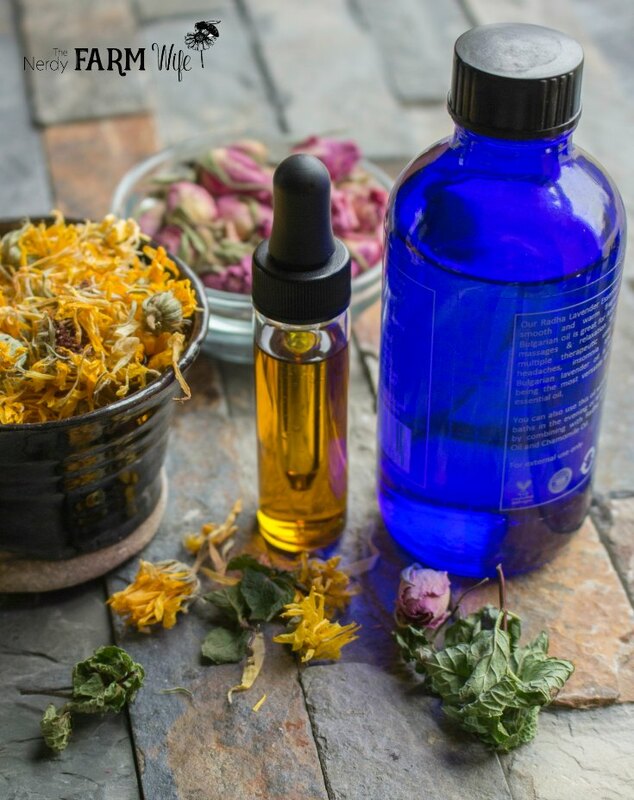 What I’m wondering is what grade of essential oils do you use in your soaps? I’ve used oils from Brambleberry that are cheaper and they require quite a bit. I am checking into using other brands(young living, doterra, etc) that are more pure but since they are more pure I would think the usage rate would be much less? Do you have any experience with this?